The 2018 NFL season for the Dallas Cowboys was literally a roller coaster ride with as many ups and downs as the Texas Giant. Through the first seven games of the season the Cowboys alternated home wins with road losses to get to 3-4. They made as big of a personnel move as they've made in recent years when they traded for Amari Cooper only to all to 3-5 in his debut on Monday Night Football to the Tennessee Titans. 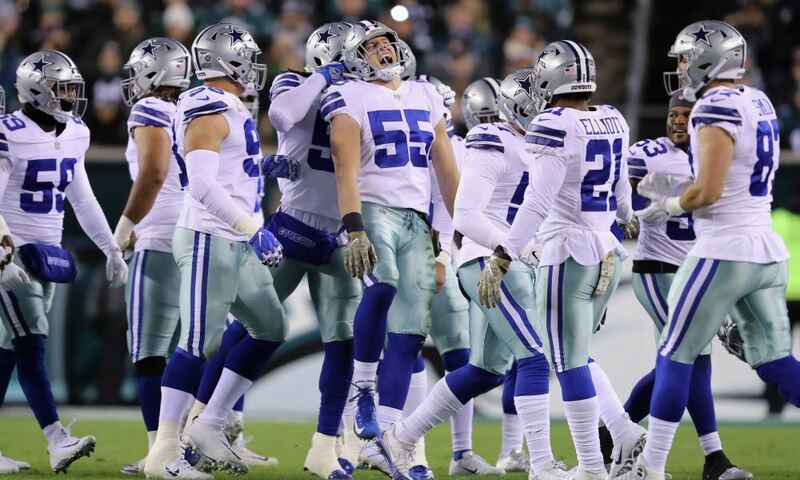 Then the team went on an improbably five game winning streak to put themselves in position to win the NFC East for the third time in five years by mid December. 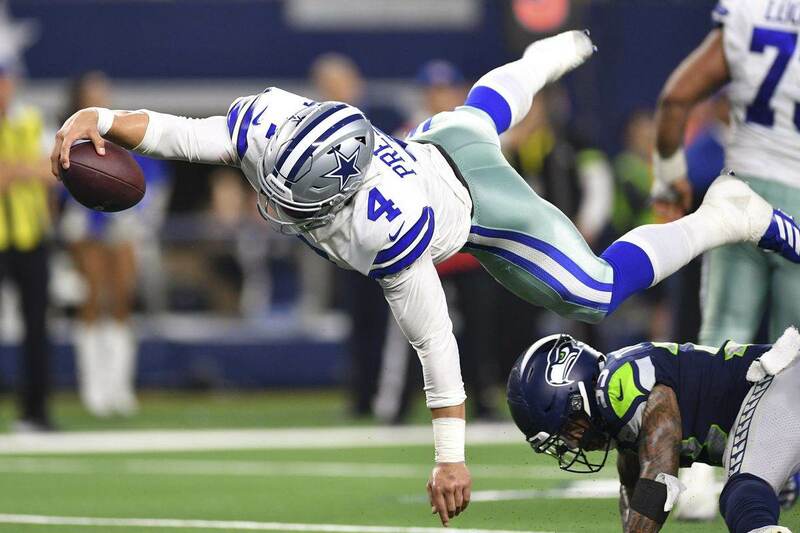 The Cowboys were able to pick up the win in the wild card round over the Seattle Seahawks before being ousted by Todd Gurley, C.J. Anderson, and the Los Angeles -- battering -- Rams' offensive line. The season always ends with a little disappointment for 31 of the NFL's 32 teams, but this year felt different at the end because of where they were to start the season and after eight games. After the Tennessee game, this team was written off. They were Leonardo DiCaprio in The Revenant. They stormed back and made the 2018 season a memorable one, even if it didn't end with a sixth Lombardi Trophy. Let's give out some post season awards to your Dallas Cowboys. 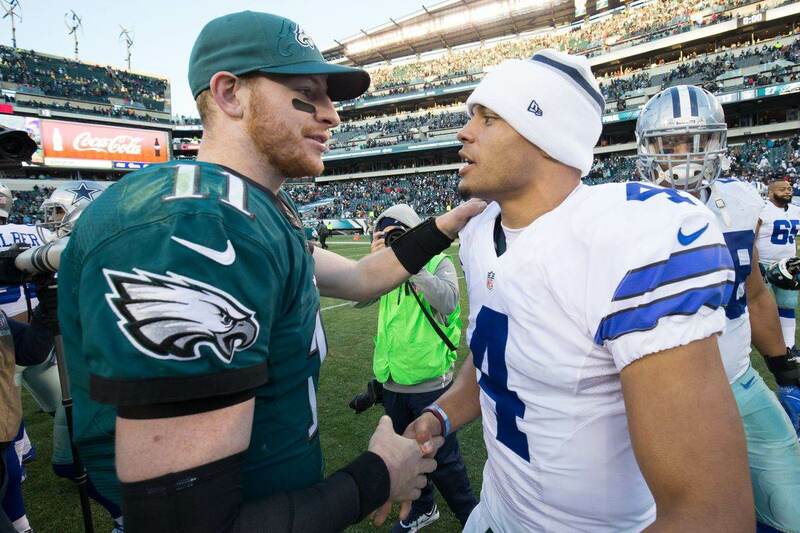 Many will scoff at this choice and think it could be Ezekiel Elliott, and I understand, but nobody had a greater impact on the Dallas Cowboys making the playoffs and winning their matchup with the Seattle Seahawks than Dak Prescott did. Over the final eight games of the season, Dak averaged 278 passing yards per game, 2 total touchdowns, and threw only three interceptions. His numbers down the stretch over a 16 game pace were phenomenal. On 71.6% passing, he was on pace for 4,450 yards, 24 passing touchdowns, eight rushing touchdowns, only six interceptions on the season, with a passer rating of 103.4. His play in the win over the Seattle Seahawks was instrumental in getting the victory to move on to the divisional round. Though they fell short against the Los Angeles Rams, Dak was able to bring them back from 16 down early in the second half to make it a one score game in the end. Dak Prescott is still a developing player, and in reality, all players are trying to grow their game. Every season. Prescott is a good quarterback, who is on his way to being great and we saw this season the potential that he has. He threw for a career high 455 yards against the Eagles and three touchdowns and then threw for 387 yards and four touchdowns against the New York Giants. There's evidence now that Dak can throw the ball, and that should scare teams. In the playoffs, Prescott stepped up and was a big reason why the Cowboys beat the Seahawks and hung in there against the Rams. Three years, two rushing titles, and it almost seemed like a "meh" season for Ezekiel Elliott. Sure he had some big games, but only a couple times this season did it feel like Elliott took over the game. Some of that is due to the offensive line injuries and inconsistencies, but some of that may be due to Elliott who saw a much bigger workload than he had in his career to date. He was much more actively involved in the passing game this season as he more than doubled his previous career high with 77 receptions for 567 yards. Though he won the rushing title, this was the lowest rushing yards per game he's had in his short three-year career. Elliott only scored nine touchdowns this season, which tied with his 2017 total that he accrued in only 10 games. Elliott struggled some in the red zone because the team struggled in the red zone. Some of those issues related to the offensive line and some because of the play calling, but you'd hope that Elliott would be able to overcome some of that where it mattered most. No player on defense has a bigger impact for the Dallas Cowboys than Defensive End DeMarcus Lawrence. Whether it's in the run game or the passing game, DeMarcus Lawrence is elite in both categories and makes life incredibly difficult on the opposing offense. On the season he had 10.5 sacks, finishing with double-digit sacks for the second year in a row. While that may not be as impressive as his 2017 total of 14.5, he was doing his thing with much less help along the defensive line. There wasn't another player who flirted with double-digit sacks this season. Though Randy Gregory, Maliek Collins, and Tyrone Crawford performed well, teams gave all of their attention to Lawrence in both the run and pass game. And he was still amazingly effective. Lawrence finished fifth among EDGE players -- 4-3 defensive end and 3-4 outside linebackers -- in tackles, fourth in the NFL in Pro Football Focus' "stops" measure with 44, and 15th in total pressures. Pro Football Focus ranked Lawrence as the seventh best EDGE defender, ninth best pass rusher, and the 12th best run defender. J.J. Watt and Khalil Mack were the only other EDGE defenders who ranked in the top 12 as both a pass rusher and run defender per Pro Football Focus. DeMarcus Lawrence is heading into the offseason looking to get a long-term deal done. While Connor Williams and Michael Gallup had really good starts to their NFL career's no rookie for the Dallas Cowboys was as impressive as 19th overall pick Leighton Vander Esch. He led the Dallas Cowboys in tackles and "stops" and had the second highest grade of any defender as graded by Pro Football Focus. In tackles, he was second only to future Hall of Fame inductee Luke Keuchly and fellow rookie Darius Leonard. Vander Esch did all this while playing a limited number of snaps as the Dallas Cowboys eased him in at the start of the season and then attempted to find a way to have Vander Esch, Jaylon Smith, and Sean Lee on the field together. It was an impressive year for the former Boise St. Bronco and the sky is the limit for Vander Esch. He's now played just his second season as a starter in 11-man football. If you remember, he didn't start for Boise St. till the 2017 season and had played 8-man football in high school. I'm really looking forward to seeing what kind of progression Vander Esch can make to his game in 2019. He's going to be a great player. The 2017 season was not kind to Jaylon Smith. It was his first attempt at playing football since January of 2016 when he tore his ACL in the Fiesta Bowl. It was amazing that he was even playing, though he didn't play considerably well. 2018, however, was a different story. Jaylon Smith could make a case for team MVP. He may not have had as many tackles as Vander Esch, or as many sacks, but by playmaking defensive EPA, he was nearly as effective at making big plays on defense as DeMarcus Lawrence. EPA measures the effect a play will have on the score. Not all plays are weighted the same, as some weigh heavier because of down and distance, turnovers, etc. Jaylon Smith had an excellent season for the Dallas Cowboys and looks to be the guy that they thought he would be when they selected him at the top of the second round in the 2016 NFL Draft. Having Smith and Vander Esch roaming around the middle of the field for the Dallas Cowboys moving forward is huge. They're excellent at moving in space and are excellent definitions of "sideline to sideline" players. 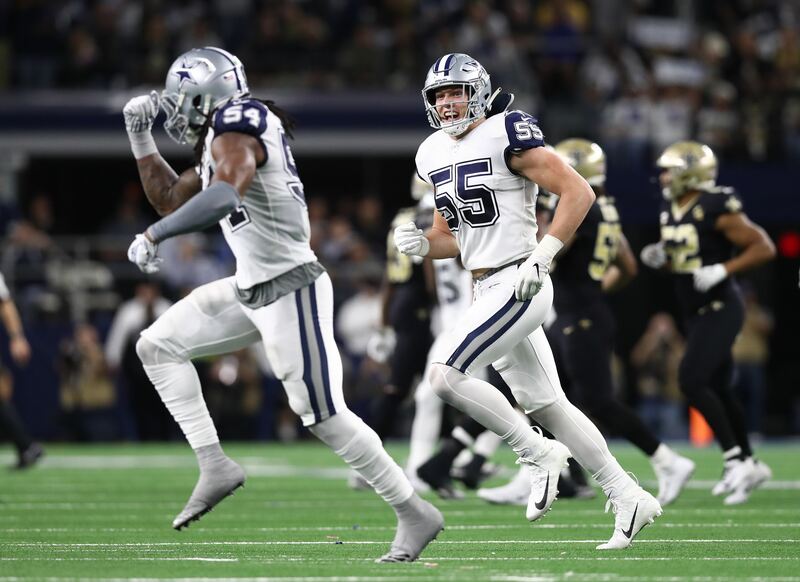 Jaylon Smith is one of the players I'm already looking forward to watching again in the 2019 season. After sitting out all but two games of the 2016 season and all of last season, Randy Gregory came back this season and had a good year. With only one sack in his career heading into the 2018 season, Gregory had a nice comeback year with five sacks and finished tied for second on the team with 37 pressures according to Pro Football Focus. According to Pro Football Reference, Gregory was second on the team in tackles for loss. The Cowboys have Randy Gregory under contract for the 2019 season for just under $1 million. The Dallas Cowboys have a lot to feel optimistic about as they look to roster build this offseason in preparation of the 2019 season. They have several ascending players playing key roles for them. This team looks primed to contend again in 2019.